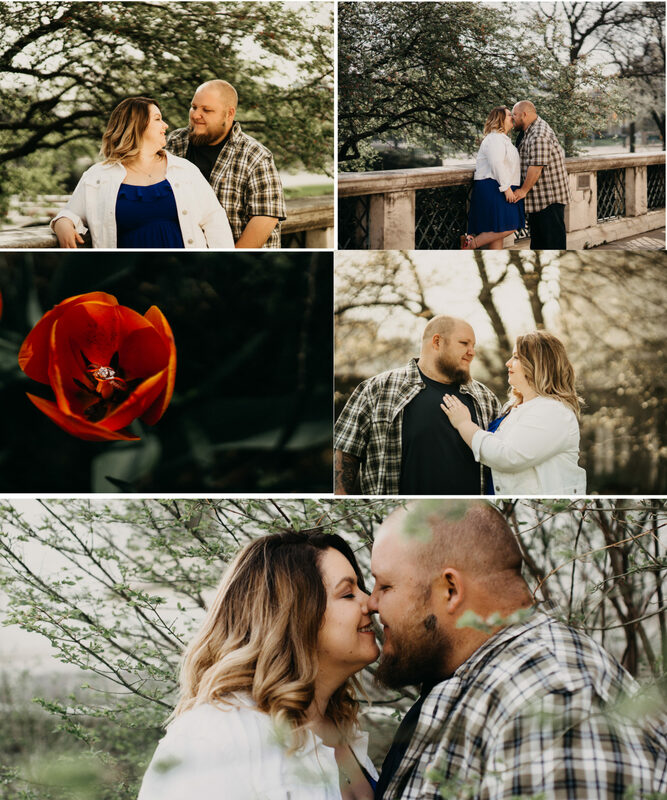 Say hello to our first 2019 M. Muncy Studios couple on the blog! 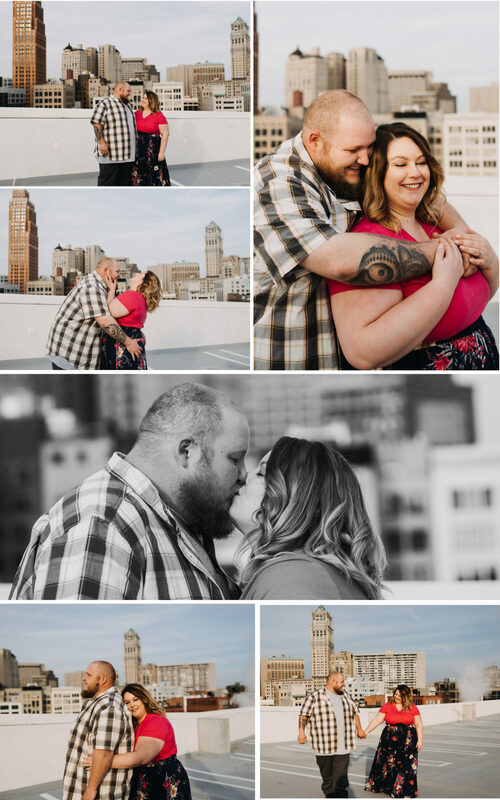 Ashleigh and Chris were referred to me by a photographer friend and I am so glad that we connected. 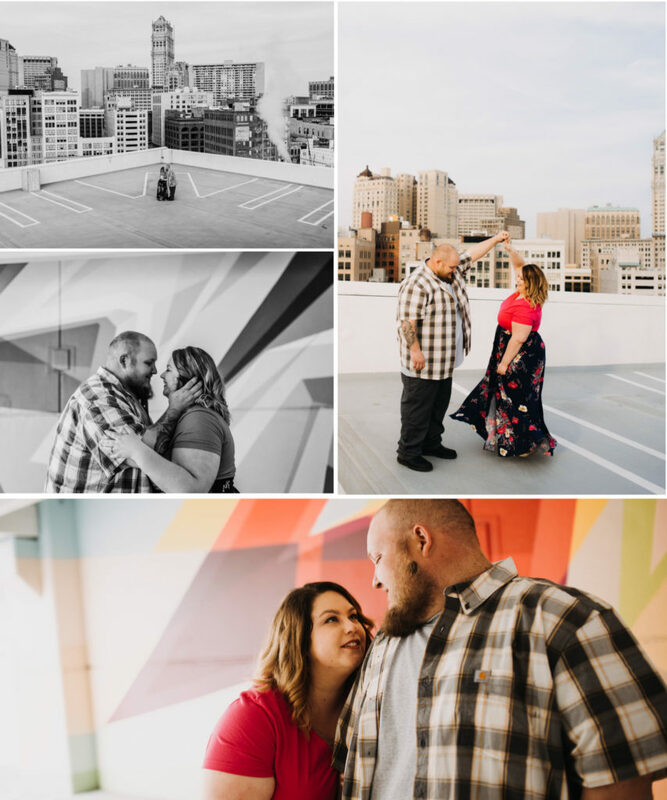 Their August 2019 wedding will be downriver, but these two decided to have a downtown Detroit engagement session on an early Sunday morning in May. Sunday mornings might be my favorite time to shoot downtown. Sure, you’re not getting the golden hour sunset on Belle Isle, but you have the city literally all to yourself. No one is really out and about at 7am on a Sunday morning. It’s dead, it’s quiet, and it feels like you own the place. 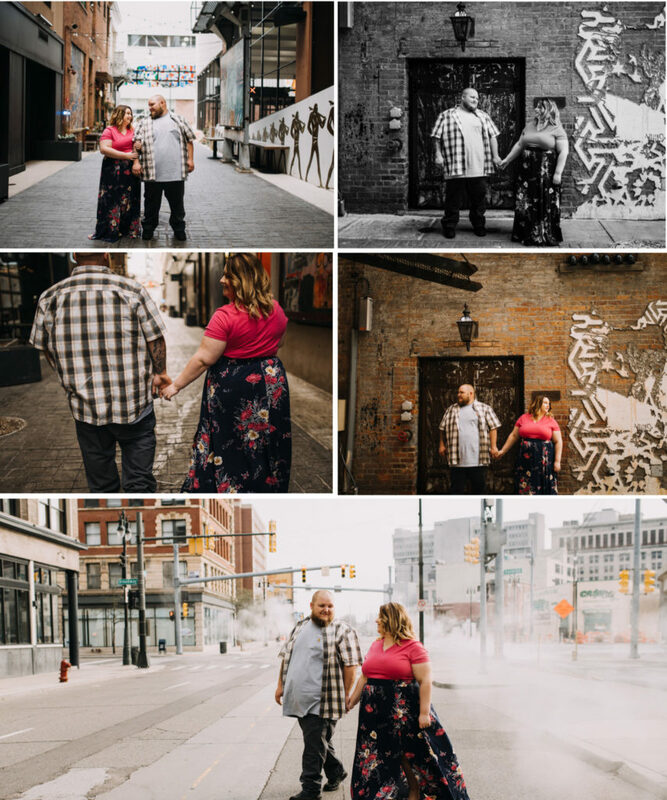 A downtown Detroit engagement session is almost not complete without a stop at the Belt Z, so we caught what was left of the sunrise there and then headed to the warehouse district where Ashleigh & Chris let me just stop the car when I saw an interesting spot. It was a grungier look with lots of brick (so great). Then we ended at the Detroit Public Library, which has is gorgeous when the trees are in bloom. These two have the cutest love story of friendship, distance, and ultimately just knowing that things were right together. You can tell they strike a balance together and compliment the other. 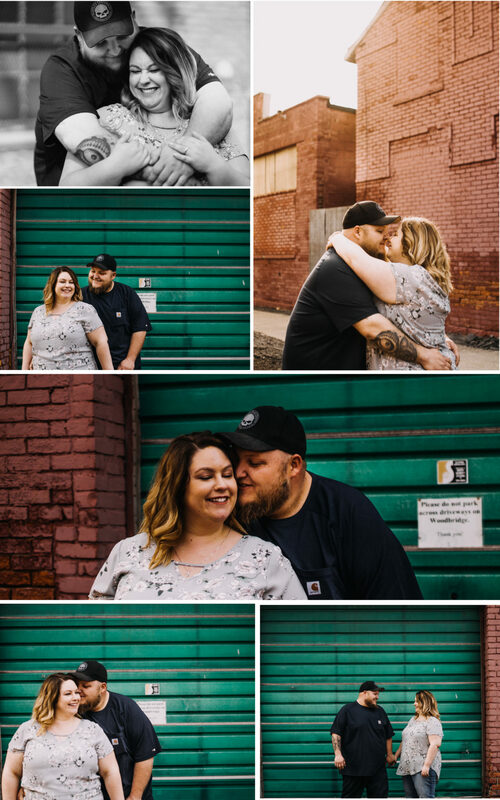 I am honored they chose me to shoot their wedding next year!